Many yachtsmen will tell you when charting a course, or after a memorable sail, you remember significant landmarks and some stick in your mind more than others. 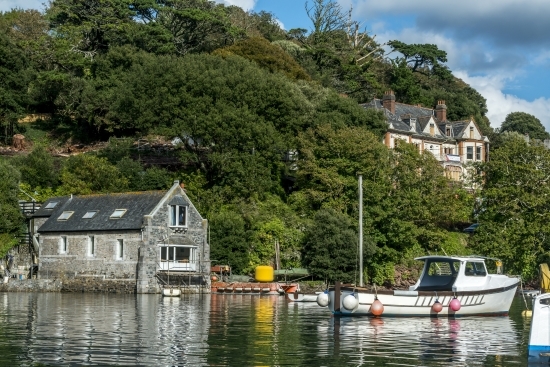 For those lucky enough to approach the twin villages of Newton Ferrers and Noss Mayo from the water, there is one such building. In its former life it was renowned as the hub of the village, overlooking the glittering waters of The Pool and the tranquillity of the River Yealm Estuary. It was then the largest of the waterfront hotels in the area and locals will remember the infamous Pepe the parrot, who ruled the bar and the legendary hospitality of the family run establishment. Now, thanks to Red Earth’s sensitive plans to restore the external façade of this elegant building back to its former glory, whilst incorporating 20th century comforts in the 6 spacious lateral apartments, The Yealm will again become a welcoming landmark beacon. 8 other contemporary apartments and 1 stunning house will be provided in the wooded grounds, making this the most significant development in the village for decades. Andrew Biggs from Marchand Petit added: “Much of the surrounding land is owned by the National Trust, sitting in such a scenic location it’s easy to see why so many buyers are drawn to this majestic building. We are very excited about being instructed to market The Yealm”. For further information and to register your early interest in The Yealm, please contact Marchand Petit’s Newton Ferrers office on 01752 873311, email: newtonferrers@marchandpetit.co.uk.